– Great Comics added to inventory!!! Home New Items in Store Great Comics added to inventory!!! Great Comics added to inventory!!! Published on October 14, 2014,	by doyle in New Items in Store. 15 late silver age/early modern age comics are just in to the store. Mickey Mouse, Archie (and the gang), The Road Runner, Little Lulu, and even a great find: Underdog!!!!! 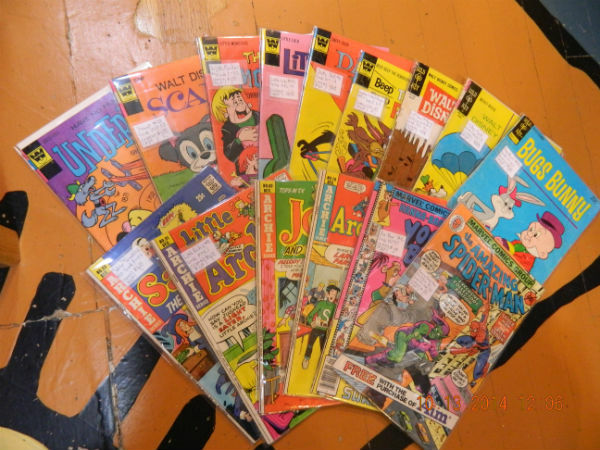 Stop in and check out these great vintage (or near vintage) comics…all priced by condition and ready to join your collection!!!!! See you in “The Chest”!